Love the scarf. Not the refrigerator damage. I'm so sorry. I hope you're able to get everything fixed. Thanks, Liz. The floor will be an ongoing project, I’m sure. I once wrote a "I want to live in a cave" post. Write on the walls...nice and cool. Oh I am sorry! What a pain. Your floors are beautiful. I know that's not what you hoped to hear from the floor guy. Think I took the same workshop. Are you doing it online? I didn't finish. I'm too much of a slacker to keep up with something where no one is holding me accountable. We are shopping around now for a new floor. I’m thinking about tiling the kitchen. The writing workshop is an online course. I am learning a few tips. Not sure I’ll make it to the final exam though. I like your scarf, such a pretty color! Sorry about the water damage with the floors. Always one thing or another, isn't it? 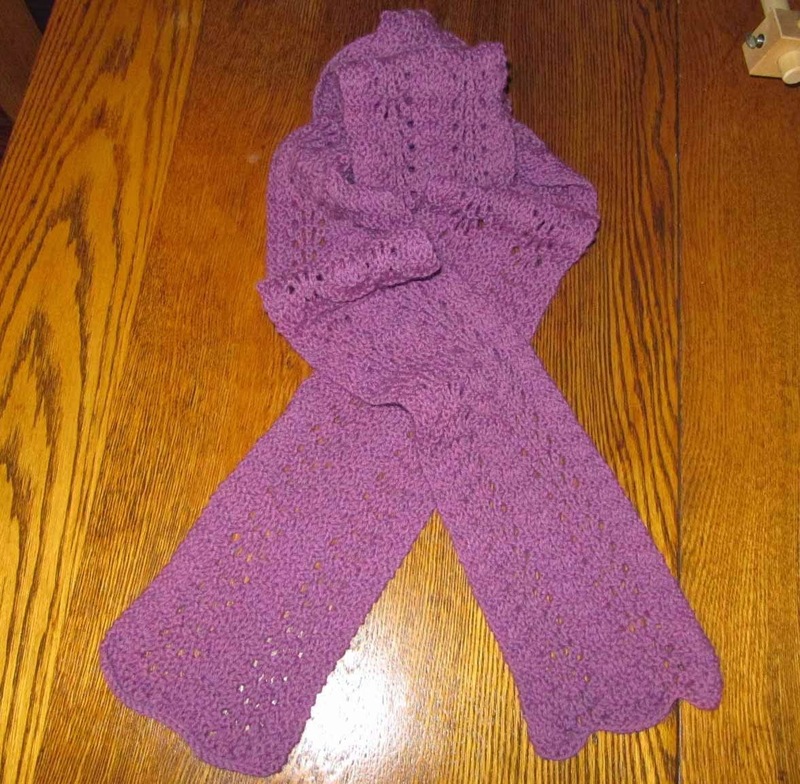 The scarf turned out nice. Now, I’m making a matching hat. The floor is probably going to turn into a major project. It’ll keep us busy, for sure. Beautiful scarf.....egads to the floor issues. What have you decided to do? Thanks. I kind of like the scarf myself. We are still trying to decide which way to go with the floor. Homeowner’s insurance is now involved. We have wood floors (not laminate) in our kitchen as well. Not Brazilian cherry. I forget what type. I think it will work out. I am a little concerned that the same thing could happen again, which is why I was considering ceramic tile. We’ll see. Hello there. Just stopping by to congratulate you on completing the A-Z Challenge! In reading your "About Me" section, I noticed you are dealing with the loss of your son. Please accept my condolences. I have absolute hope and confidence in the resurrection and as a result, I find the scriptures at Acts 24:15 and Revelation 21:3-5 especially comforting. Wishing you all the best. Visiting from the A-Z Road Trip. Well, if you are going to replace the floor anyway, why don't you try this under the refrigerator out of sight. 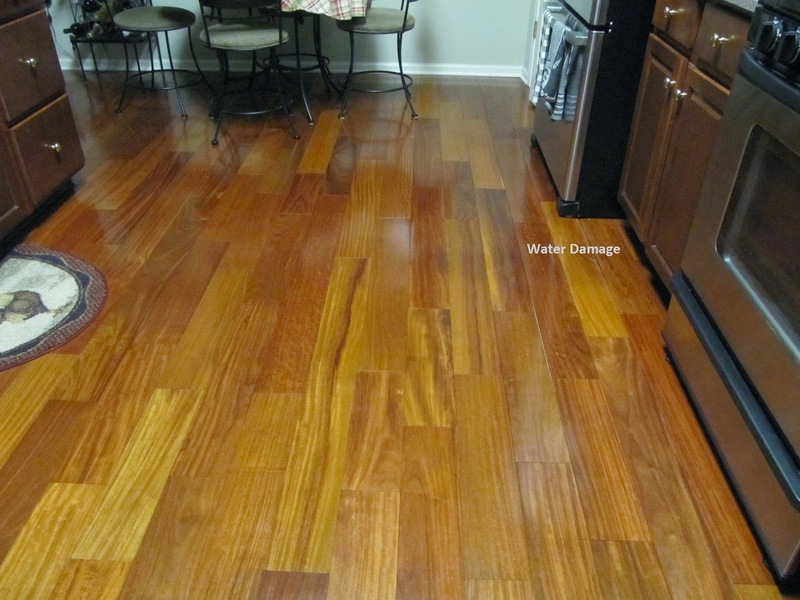 Just clean the floor really well and apply a coat of tung oil with a lint-free cloth. Let it dry and see what you think. I live in a 100-year old house with oak floors. When we moved in, the finish was dull, damaged and generally not so pretty. As a first attempt at dressing them up, I did this and liked the results so much, I left them that way. I mentioned this at the local floor store and they told me you can't do that. Well, I did and eight years later, it still looks great.